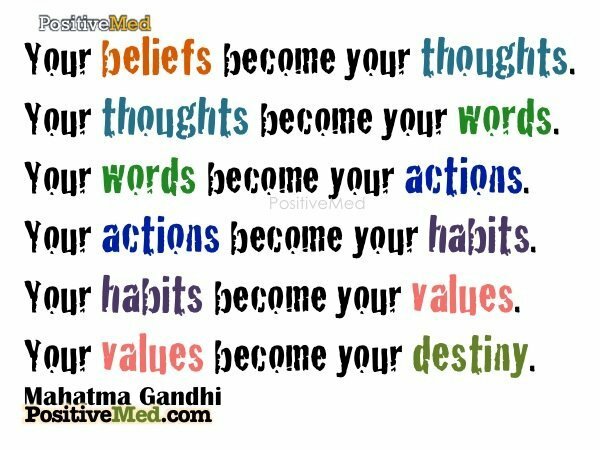 Your beliefs become your thoughts. Your thoughts become your words. Your words become your actions. Yours actions become your habits. Your habits become your values. Your values become your destiney.